Wunderbar is marking the launch of the new Wunderbar Foundation with an extra special event in London this March. The Foundation is our new fundraising arm – a collaboration between Wunderbar’s artistic director Ilana Mitchell and our philosopher-in-residence, Dr Rachael Wiseman. The project puts the fun into fundraising while scrutinising just what’s happening when money is donated. 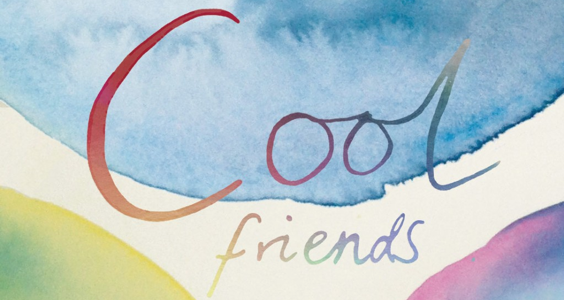 The launch event, called Good Feels and Cool Friends after two key motivations for donating to the arts, will be loaded with deep brain tickling provocation, game playing, self and selfie analysis, and topped with edible and tactile treats. Tying in with Rachael’s Integrity Project, Good Feels and Cool Friends is supported as part of the British Academy Rising Star Engagement Awards as well as by Arts Council England, and is the fruition of months of fearless interrogations around the ethics of arts funding from the perspective of the donor and the donation recipient. The Wunderbar Foundation is a fundraising initiative raising money for Wunderbar projects and ploughing any profits straight back into more Wunderbar projects. As a fusion of academic and creative practice, the Foundation investigates possibilities for creating stronger and more trustworthy relationships between those on both sides of the donation game through playful and thought-provoking mechanisms. Join us at the launch to find out more at our evening of celebration and good feels among the coolest of friends. This is a free event but the venue has a limited capacity. To reserve your place and make sure we have plentiful nibbles for everyone, visit our page on Eventbrite, which includes directions and full details. We look forward to sharing warm fuzzy feels with you then.